When we design a work method safety plan for your particular work activity, there will be no surprises, it will work as we have described. We realise that time is critical, and we ensure all safety measures are in place to allow your works to run risk free. Don't learn about the traps of working in the rail environment by making devastatingly expensive mistakes on your project. The wrong Safeworking plan or implementation can cause headaches you could never dream of. Take advantage of our friendly and open discussion at the tender stage, our experience in planning and our proven competence and reputation while implementing your project. Track Force Protection & Rail Project Management. Ask around, we stand by our achievements. Rail SWS team at the forefront of Victoria's North East Program Alliance (NEPA). Photo taken near Grange rd., Alphington. Rail SWS running the commissioning occupation for Noble Park, Caulfield To Dandenong (CTD) works. Photo taken from up near the new Noble Park station. Rail SWS managing day works with live train running between Hughesdale and Murumbeena. Photo taken near Poath Rd. Hughesdale. 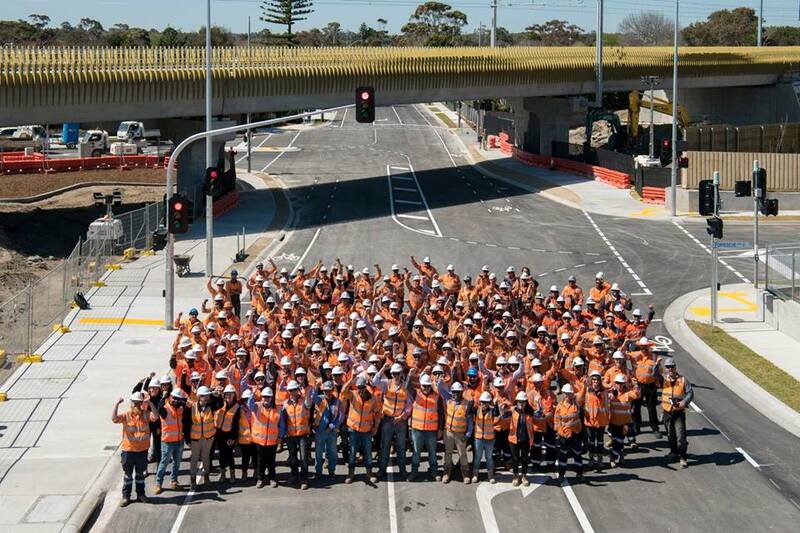 The Southern Program Alliance (SPA) is a Lendlease, Safeworking Solutions, Acciona Coleman and WSP consortium that has been awarded the contract to remove four level crossings at Station Street/Bondi Road (Bonbeach), Eel Race Road (Carrum), Station Street (Carrum) and Seaford Road (Seaford). The $588 million project will not only remove four level crossings, it will also build a new Station Street road-bridge over the Patterson River and reconfigure local roads to connect McLeod Road to the Nepean Highway. Works are well under way and Rail SWS has delivered a perfect record to date. Train stabling will also be moved away from Carrum with a new train storage facility near Kananook Station scheduled, that will allow up to 24 trains to be stored, up from the current six at Carrum. In a massive win the for the community, the R.F Miles reserves and surrounds will be upgraded as part of the Seaford Road level crossing removal once all works are completed. 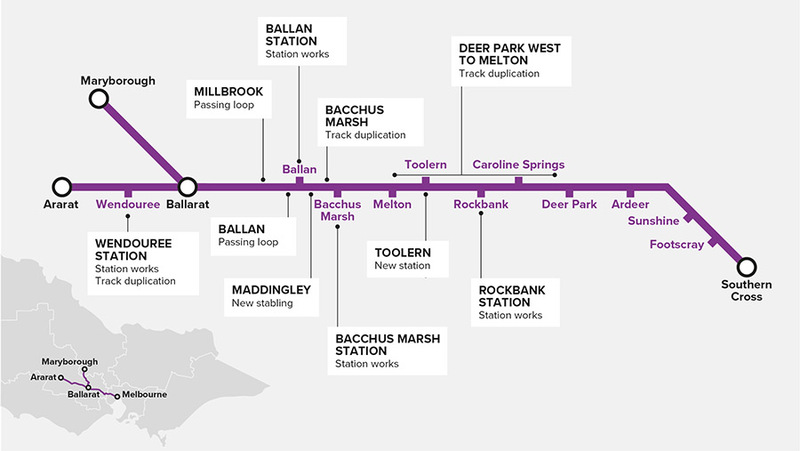 The Australian and Victorian governments, along with the rail expertise from Safeworking Solutions, are upgrading the Ballarat line to deliver more trains and improve reliability for Melbourne's outer western suburbs, Melton, Bacchus Marsh, Ballan and Ballarat. The project will enable much needed extra services in the morning and afternoon peak, plus a train every 40 minutes off-peak for these growing communities. Rail SWS has been planning and overseeing construction that started in October 2017, planning and arranging for new upgrades to stations and upcoming track duplication. Safeworking Solutions will over see the project that is expected to be completed by late 2019. The High Capacity Corridor Upgrade (HCCU), a continuation of Caulfield to Dandenong (CTD) Level Crossing Removal Project, removed nine level crossings and rebuilt five stations. The Cranbourne-Pakenham train line is Melbourne's busiest and is crossed by some of our most congested roads, where boom gates would be down for up to 82 minutes during the morning peak. Rail safe working has been a critical component during construction, and Rail SWS has been at the forefront since its initial stages. Rail SWS have prevented major delays to both road and rail traffic, through co-ordinating safe working as efficiently and safely as possible. 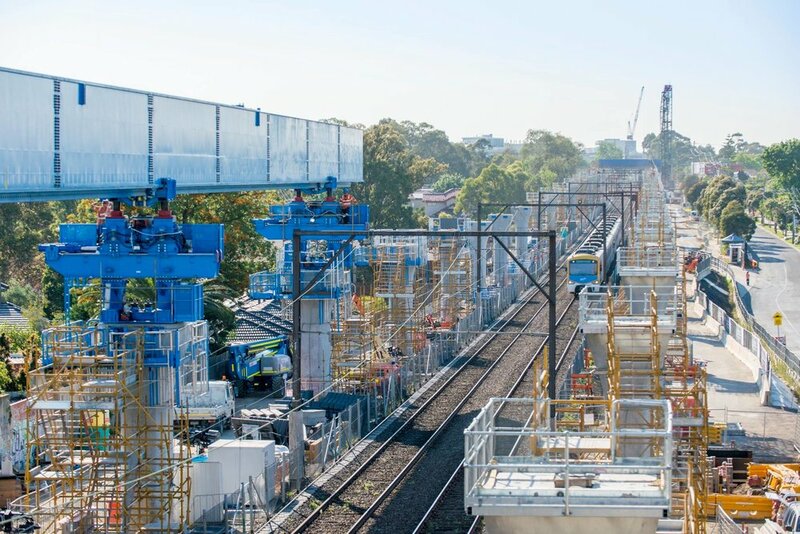 With innovative safe working controls, Rail SWS have been protecting and managing the safe working arrangements for a high level alliance that includes Lendlease, CPB Contractors, WSP Parsons Brinckerhoff, Aurecon and Metro Trains Melbourne. Rail SWS are the sole provider of safe working for the project, perhaps the biggest project in Victorian state history. Rail SWS will also be planning and organising critical work to upgrade signalling and power infrastructure along the entire Cranbourne and Pakenham lines, in preparation for the introduction of High Capacity Metro Trains. Rail SWS have delivered fantastic results in working with different construction methodologies through different sections of the rail corridor. The North East Project Alliance (NEPA) was established to remove four level crossings. The alliance members are Laing O'Rourke, Fulton Hogan, Jacobs, Metro Trains Melbourne and the Level Crossing Removal Authority (LXRA). 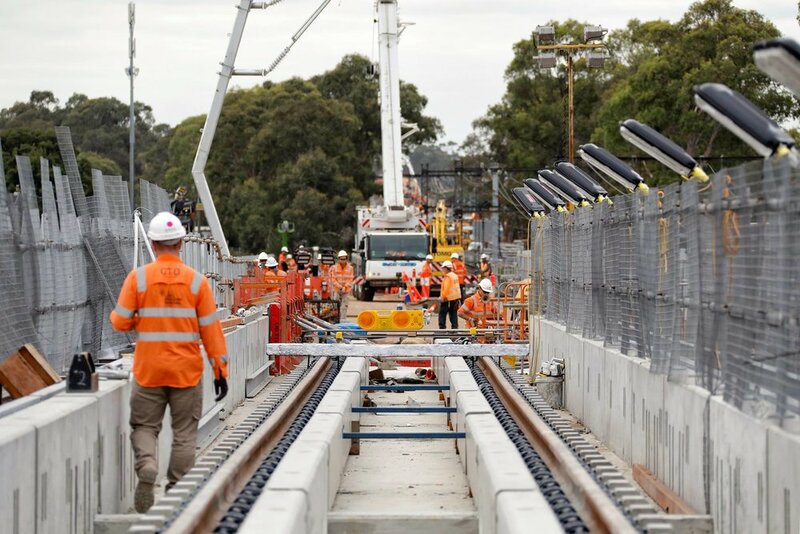 The program alliance is an innovative approach to alliance contracting developed by LXRA to expedite the removal of 50 level crossings in metropolitan Melbourne over an eight year period. Safeworking Solutions (SWS) has been a key part of this process, having been selected as the premium safe working provider for this alliance and to be the sole safe working provider for the NEPA project. Rail SWS is coordinating and organising all safe working for NEPA, and will continue to see out the project to remove numerous level crossings and also over see the duplication of track between Heidelberg and Rosanna. Melbourne Metro Rail Authority (MMRA) is the Victorian Government body responsible for delivery of the Metro Tunnel and the Ballarat Line Upgrade. MMRA is responsible for all aspects of the projects including planning and development of a project reference design, site investigations, stakeholder engagement, planning approvals and procurement, through to construction delivery and project commissioning. For this reason, Rail SWS have a close partnership with MMRA and are the preferred safe working provider on site. By taking our busiest train lines through a new tunnel under the city, the Metro Tunnel will free up space in the City Loop to run more trains in and out of the city. That means more trains, more often across Victoria, with a less crowded and more reliable train network. To get this delivered, Rail SWS have to coordinate all rail movements and safe working protocols throughout the delivery of works. Delivering projects of the scale and complexity of the Metro Tunnel and the Ballarat Line Upgrade requires a blend of public sector and private sector experience and MMRA is utilising both employees and contractors, with support from Safeworking Solutions to get the best outcome. Rail SWS have partnered with the Victorian Government to build the West Gate Tunnel Project, providing a vital alternative to the West Gate Bridge. As part of the new tunnel, major works are required across existing rail infrastructure and various sections of the rail corridor. A unique set of works, the specialist services of Rail SWS have been sourced to meet the demands of the various Rail Operators covered by these works. The project has interface with MTM, Vline, Victrack and ARTC. WHAT SERVICES DO RAIL SWS OFFER? Shoot through some details below and we will get back to you straight away. You may also call us to speak to one of our friendly staff members. For job opportunities, please attach your resume here and complete the form below. Alternatively email employment@railsws.com.au directly. We’re always looking for new and exceptional talent to lead the firm into uncharted fields of practice.